If you are renting a residential premises, you need an apartment housing lawyer to help guide you through the complex laws regarding landlords and tenants in Texas. Contact Girling Law at (817) 864-8228 today. Title 8, Chapter 91 – This law addresses rental agreements and provisions generally applicable to landlords and tenants. Specifically, these sections address termination of rental contracts, subletting, breach of lease, and mitigation of damages. Title 8, Chapter 92 – This chapter of the Texas property code addresses regulations for residential tenancies. Specifically, it considers service of process, harassment, attorney’s fees, duties and remedies, interruption of utilities, removal of property, tenant’s rights, occupancy limits, rental payments, and more. Title 15, Chapter 301 – The Texas Fair Housing Act addresses rights of tenants and duties of landlords regarding discrimination and the administration of fair housing rules. Title 7, Chapter 32 – The Uniform Condominium Act provides regulations regarding condos. According to the Texas property code Chapter 92, Subchapter C, landlords have certain duties regarding security deposits. They must return security deposits within 30 days of the end of a lease. If any money is retained for damages, and itemized list should be provided to the tenant. The 30-day time period begins when the tenant provides the landlord with a forwarding address. Security deposits are considered to be returned on the date it is postmarked. If a landlord retains a security deposit in bad faith, they may be liable for up to three times the amount of the original security deposit, $100 additionally, and court and attorney costs of the tenant. There is no limit on security deposits, fees, or where deposits are kept. However, local city and county laws may address these matters. 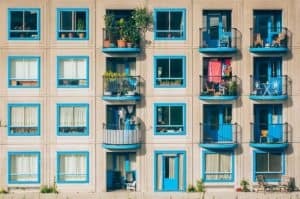 Before demanding a security deposit for a residence, you should consult with an apartment housing lawyer to make sure you’re in compliance with all state and local laws. Texas property code Chapter 92 provides very few regulations for leases, rent amounts, and fees. Landlords may increase rent at any time, without notice. Late fees must be “reasonable”; however, the law does not list a specific amount. Tenants may deduct rent if repairs are necessary and they give prior written notice. 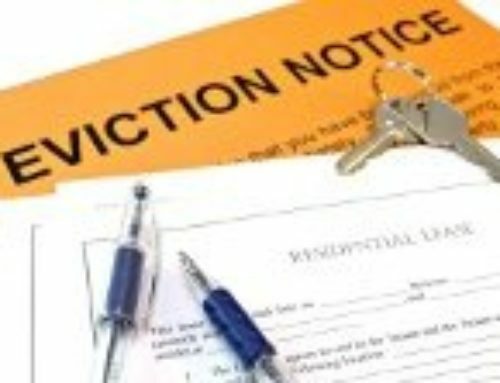 Texas does not allow utility shutoffs; however, a landlord may lock out a tenant that breaks the lease in certain circumstances. For example, if a tenant is late on rent, the landlord may change the locks. However, the landlord must provide written notice for how to obtain a new key, which must be available 24 hours a day. If a landlord changes the locks without valid reason, they may be liable to the tenant for up to one-month’s rent. Chapter 91 of the Texas property code addresses notice and entry of apartments. In general, tenants must provide a one month notice before terminating their lease, but landlords have much shorter time periods. There are no laws addressing move-out inspections. Landlords must give notice prior to entering the premises; however, the law does not indicate a specific amount of time. Most landlords provide at least 24 hours notice before entering. No laws address emergency entry. If you have questions about your residential lease, contact an apartment housing lawyer today at Girling Law at (817) 864-8228.